It arrived, finally it arrived! Yes, the new B200 windshield is here and currently being installed. You begin to realize how remote Kangerlussuaq, Greenland, is when you need something. In the United States you can overnight ship almost anything from Chicago style pizza to Memphis ribs to aircraft windows, but not here. Here, in Kangerlussuaq, the only way to get things this time of year is on one plane that arrives from Copenhagen, Denmark, Monday through Friday at 9:30 a.m. local time. When the B200 windshield cracked on Monday the plane crew immediately ordered a new windshield to be sent from NASA Langley. It was shipped on Tuesday and arrived today. During the time that it took the windshield transit, the B200 plane crew took out the old windshield and prepped the plane for the new one. 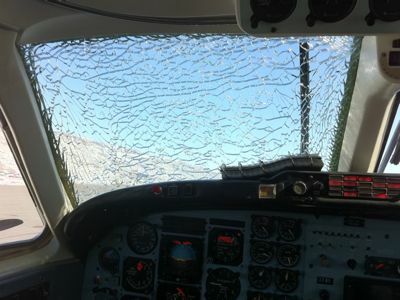 I have learned a lot about aircraft windshields the past few days. For instance aircraft windshields are installed using a sealant (a glue to secure the windshield inside a bolted frame). Even though it has warmed up significantly since we first arrived, it’s just 27 F (-3 C) outside. That’s quite balmy compared to the -8 F (-22 C) temperatures of last week, but the windshield sealant needs temperatures around 77 F to cure. The aircraft is in a hanger but it is still too cold to cure quickly. The B200 crew spoke with some of the Air Greenland crew who lent us some Infrared (IR) heating lamps. The IR heating lamps will allow us to install the window and cut the curing time in half so we can get back in the air sooner. Right now the window is being installed and sealant applied. Overnight, the window will sit under the IR lamps. On Saturday the plane will undergo a test flight with only the pilots onboard to ensure the aircraft is safe. If all goes well by Monday we will be back up and flying the B200, which carries a high-altitude laser altimeter called the Land Vegetation and Ice Sensor (LVIS). 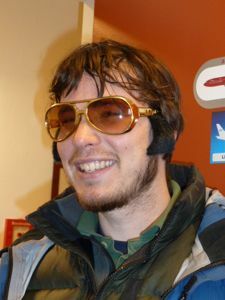 In the meantime the LVIS instrument has been resting but Elvis sightings around Greenland have remained high. The first Elvis sighting was Rob White (left) from the B200 crew, and the second Elvis sighting was Shane Wake (right), an LVIS instrument operator. Kangerlussuaq, Greenland — Today’s mission was a mix of the exciting and dull – from spectacular scenery over an ice cap, and up some glaciers and over Jakobshavn’s calving front, to the monotonous but scientifically important back-and-forth mapping of Russell glacier. It was essentially a “mop up” mission, combining targets from three separate flight plans. We starting the day off flying over Sukkertoppen Isflade, our first ice cap of 2011! 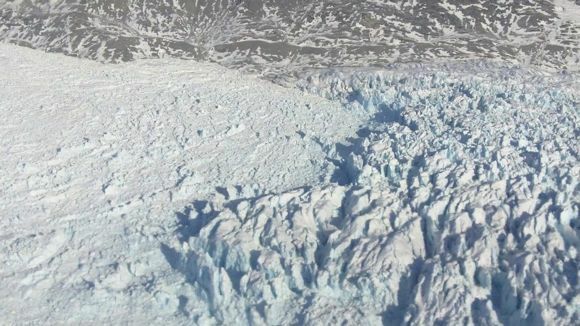 Flying over the blanket of ice, the scene abruptly ends as ice cascades down steep terrain into an open-water fjord that separates the ice cap from the Greenland Ice Sheet. Ice caps, while separate from the main ice sheet, are also undergoing changes and contribute to sea level rise. Continuing south, we flew along several glaciers starting with Taserssuak (not thinning) and later on over Kangiatanunatasermia (thinning). 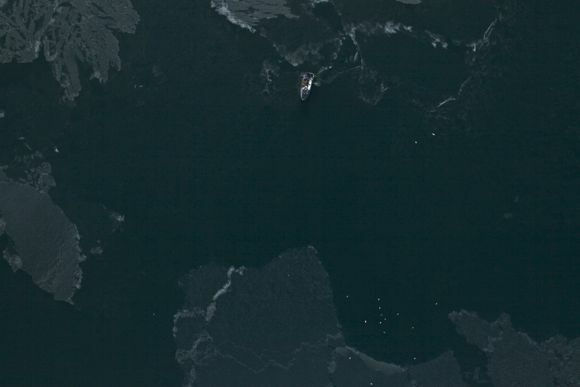 The difference is interesting, as both glaciers are fed by the same fjord system. Scientists want to keep watch over these regions to continue to see how the change is changing. After hitting some clouds as expected from the morning’s weather brief, we headed back north and reflew the center flow line of Jakobshavn — always spectacular — before flying over Illulisat Isfjord, which was surprisingly free of ice. The reason for the ice-free conditions was unknown to scientists onboard. There could have been fewer calving events, warmer water, or wind patterns that pushed ice out of the area. 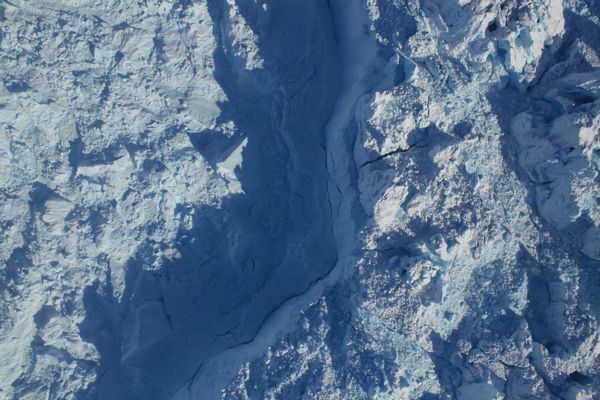 “Half of the Illulisat Isfjord was open water with several fishing boats in the area, something I have never seen before,” said Michael Studinger, the mission’s project scientist. Next it was on to Russell Glacier, just outside of our home base, Kangerlussuaq. Back and forth, this was a true “moving the lawn” pattern. I may have even taken a brief nap. But to scientists, this mapping is critical. A radar instrument onboard will get a good look at what’s below all that ice and help scientists better understand how the bedrock influences the flow of glaciers. Kangerlussuaq, Greenland — It may seem obvious, but the Arctic is cold. I was surprised to arrive in Kangerlussuaq, Greenland, to see the hills and streets covered with snow and temperatures that make you second-guess the wisdom of leaving any skin exposed. 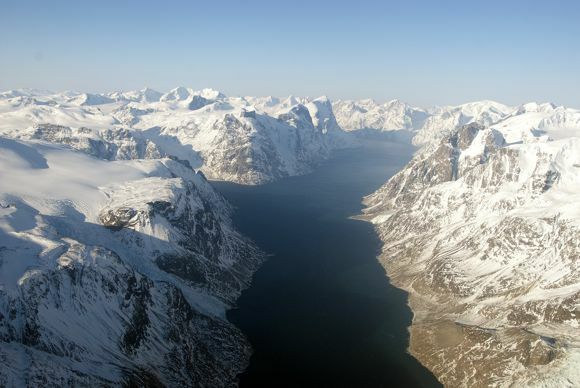 In 2010, the Kangerlussuaq leg of Operation IceBridge began about a month later, in May. What a difference a month makes. The hills were snow-free, flowers beginning to bloom, days were long, and the river rushed to break up the last chunks of winter ice. On down days, crew and science teams hiked, biked and went fossil hunting. Now we mostly stick to the warm indoors. Most of us, however, are willing to brave the cold and dwindling hours of darkness to catch a spectacular show of the northern lights. 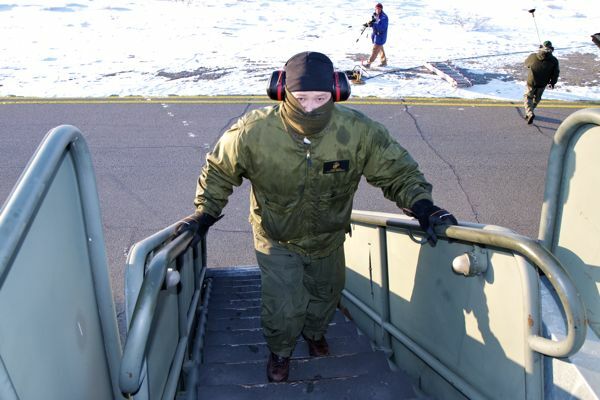 It turns out that the aircraft also battles the cold. On April 5, we planned to fly the mission’s first science flight from Kangerlussuaq to collect data over Jakobshavn — Greenland’s fastest moving glacier. At 6 a.m. it was just -11 F. The coffee pot onboard froze and fractured. Shortly after take off, the cold temperatures resulted in a mechanical issue on the aircraft that forced an early return to Kangerlussuaq, Greenland. 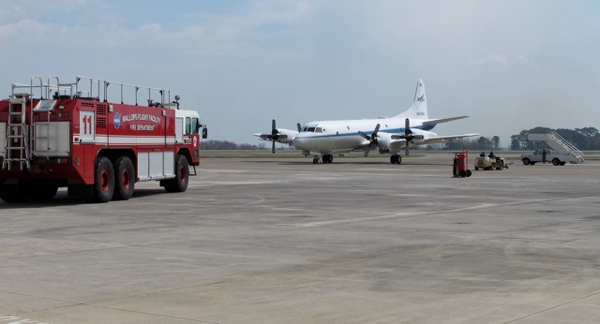 The P-3’s adept aircrew was quick to diagnose and resolve the issue. On April 6, crew started the day extra early at 5:30 a.m. when the temperature measured in even chillier at -18 F. Additional heating for an extended period prior to flight led to a successful first flight from Kangerlussuaq. And what a spectacular, clear flight. Instrument teams onboard the P-3 also battle with the effects of temperature. Scientists with the laser altimeter use hair dryers to warm up the instrument, but too hot is also problematic. Scientists working with the radar instruments prefer the cooler time of year before melt ponds appear on the ice, complicating the way light reflects from the surface. Having overcome challenges posed by the cold, we’re looking forward to a long series of land ice flights over Greenland. There’s word among the crew that the new coffee pot should arrive in a few weeks, in time for IceBridge’s return to Thule. 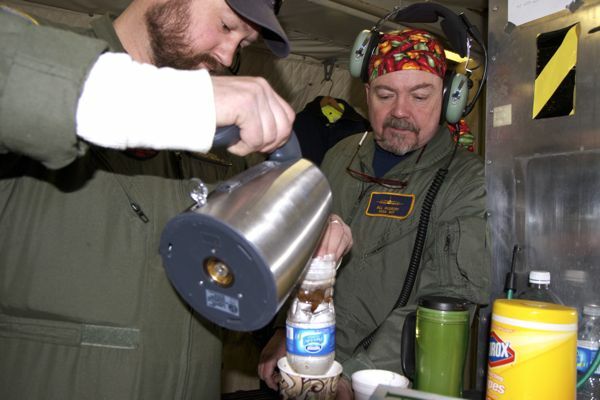 Thanks to the P-3 crew for what might be the best cup of Joe in Greenland! Kangerlussuaq, Greenland — During the last IceBridge campaign, based in Punta Areans, Chile, we described a three-hour ramp survey. Scientists drove a truck with a GPS antenna affixed to the roof to map the precise elevation of the airport’s entire ramp — the pavement next to the runway where the aircraft spends each night. 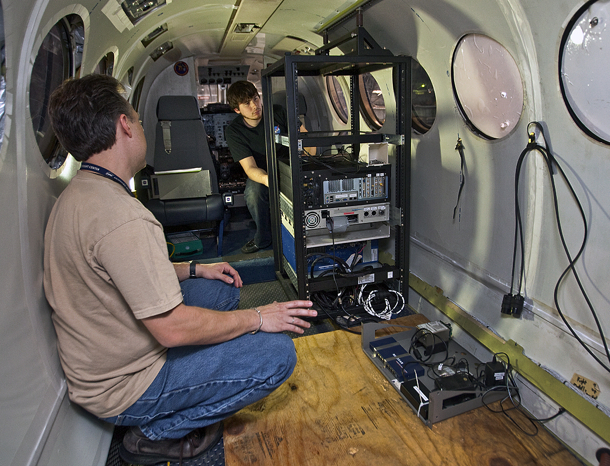 The ramp map helps researchers calibrate science instruments on the aircraft. Here in Greenland, at Kangerlussuaq International Airport, the same activity on Saturday, March 3, would turn into a five-hour survey. “This has to be the biggest ramp in the world,” said Kyle Krabill who drove the car, bringing me along as the unsuspecting passenger. The task started that morning after idling for an hour on the ramp to calibrate the GPS. Then, we rolled off at a whopping 15 miles per hour, windows rolled down and 80’s Danish music blaring. Back … and forth … and back … and forth … we traced around the perimeter of the ramp and then inward, as if we were mowing a lawn of pavement. 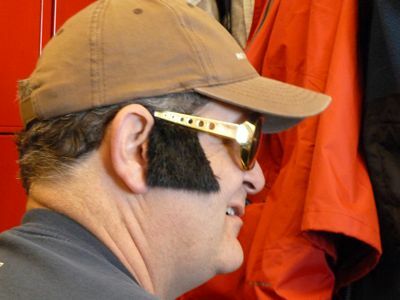 “See how easy it is to be a scientist?” Krabill joked. But it turns out that driving the car is just the beginning. Krabill is part of the team that runs the Airborne Topographic Mapper (ATM), an instrument flying with IceBridge. ATM pulses laser light in circular scans on the ground. The pulses reflect back to the aircraft and are converted into elevation maps of the ice surface. 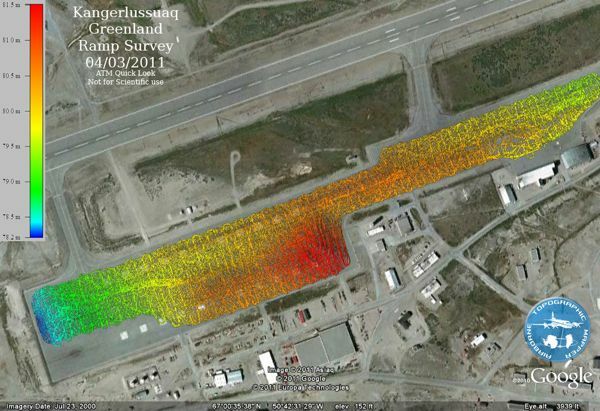 Toward the end of each flight, ATM laser elevation data are also collected during a pass over the ramp. Putting the data all together (including the dizzying ground-based ramp survey), and knowing the precise location of the aircraft (via a technique called “differential GPS”) scientists can decipher and eliminate some of the inherent error that comes with flying a laser scanner, such as errors in range — the physical distance to the ground — and in the team’s knowledge of the way in which the scanner is mounted in the aircraft. Kangerlussuaq, Greenland — The P-3 is ready to return to IceBridge just 30 hours after the aircraft’s prop valve failed on Friday, April 1. Here we list highlights from the tremendous effort by aircraft crew who were responsible for the speedy return to flight. 1. From Kangerlussuaq, Greenland, get permission to ferry the aircraft to its home in Wallops Island, Va.
9. Take a much-deserved mandatory hard down day in Wallops Island, Va.
10. The P-3 is scheduled to depart Wallops at 7 a.m. EDT and arrive in Kangerlussuaq at 4:30 p.m. local time, ready for a possible flight on Tuesday! 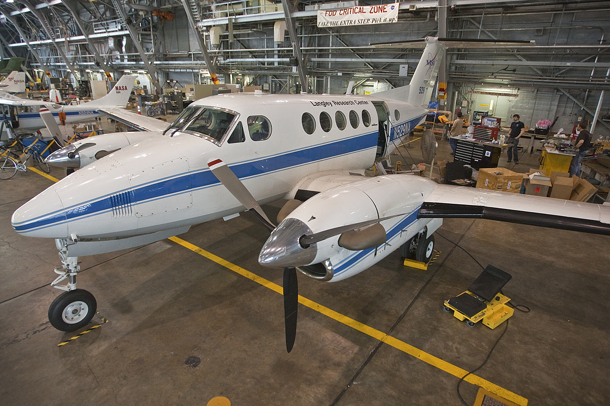 Crewmembers are busy getting the B-200 King Air at NASA’s Langley Research Center in Hampton, Va. ready for its first flight with Operation IceBridge. The King Air will be carrying the Land Vegetation and Ice Sensor (LVIS) onboard for several weeks of science flights over the Arctic. 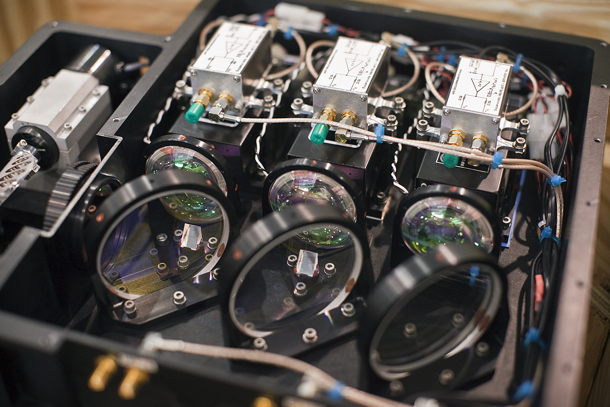 LVIS is an instrument from NASA’s Goddard Space Flight Center in Greenbelt, Md. 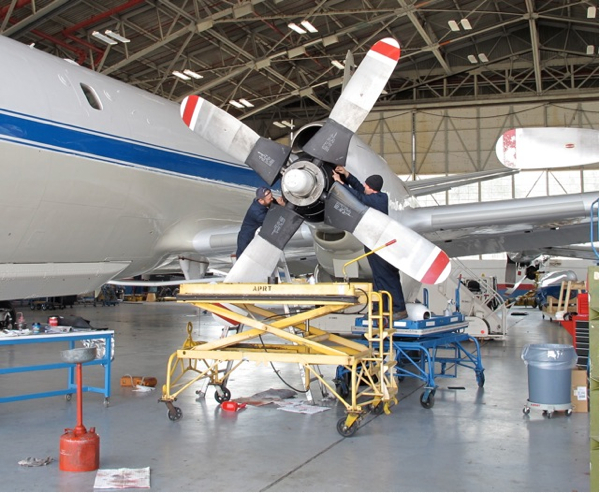 Engineers are uploading the instrument and other science equipment in preparation for a scheduled departure date of April 13. IceBridge teams are already in Greenland conducting science flights onboard the P-3B based out of NASA’s Wallops Flight Facility in Wallops Island, Va.